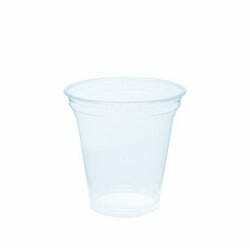 These cups have capacity of 250 ml, measured to filling mark. 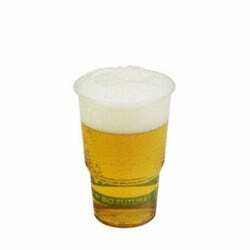 The cups are perfect for soft drinks or beer. 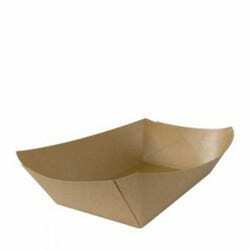 Prices are exclusive of shipping costs. 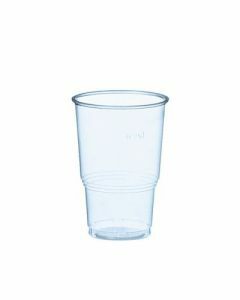 These disposable cups are ideal for parties, events and festivals. 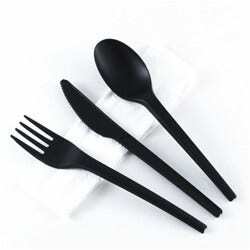 The size makes them very suitable for soft drinks and beer. 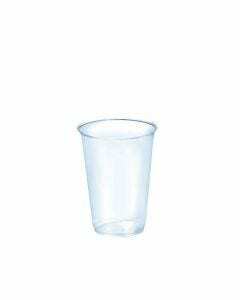 The cups are stackable and have a filling mark. 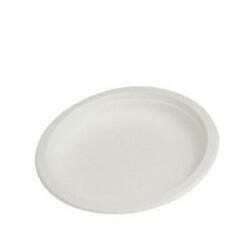 The material is very strong and does not shatter like normal plastic. 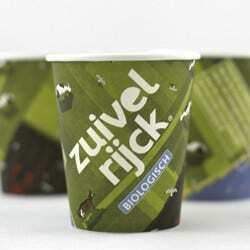 The biodegradable cups are printed with information about the material. 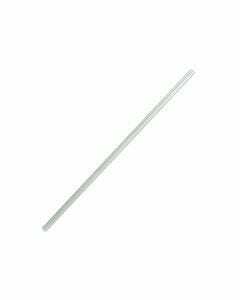 Only suitable to use with cold content. 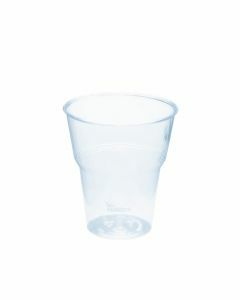 The disposable cups of 250 ml are made of the material PLA. 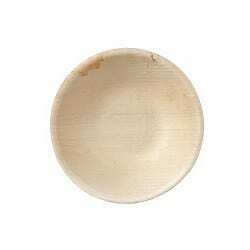 This stands for Poly Lactic Acid, a compostable bioplastic. 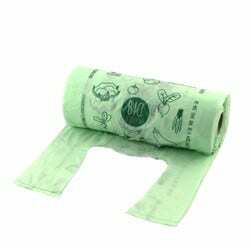 It is made of cornstarch, a fully renewable resource. 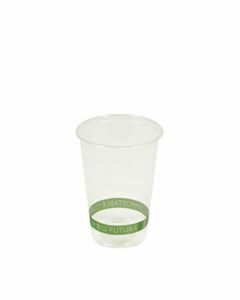 After use, the cups can be composted in an industral installation. 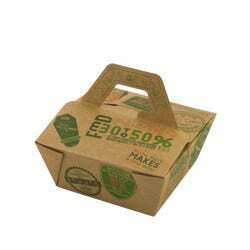 They are certified compostable by EN-13432. 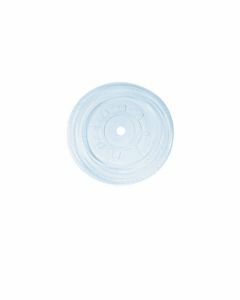 More information about PLA is available on the 'PLA material page'. 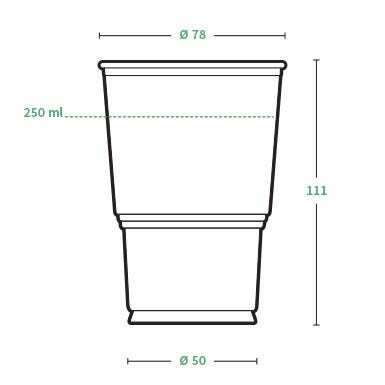 When ordering 25.200 pieces or more, the cups can be printed with your own design. 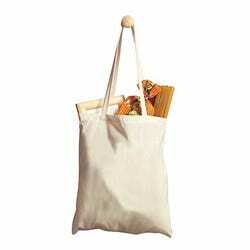 Please contact us for pricing and more information.